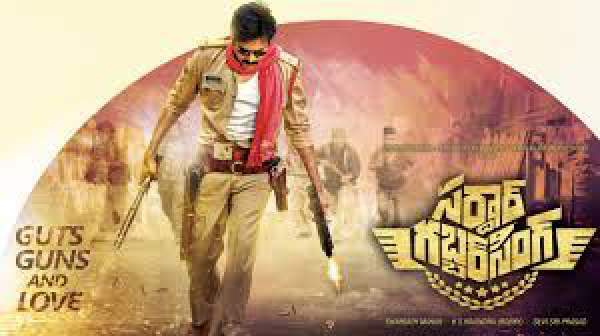 Pawan Kalyan’s Sardar Gabbar Singh Latest News: Powerstar PawanKalyan has terrific craze all over. He has been away from Mega family after he had political differences with his brother Megastar Chiranjeevi. To serve the poor he started his own political party Jana Sena which is currently busy with the ideologies and will contest the elections soon. Pawan Kalyan has been balancing his political and film career from some time. He has been last seen in Gopala Gopala in a special role. Victory Venkatesh played the lead role in the movie and Kishore Pardasani directed the film. Suresh Productions and North Star Entertainments produced the movie. After this Pawan has taken huge gap because of his political activities though he has signed his next movie SardarGabbar Singh. Kalyan himself penned the script of the film, but the narration along with the dialogues have not been worked on much. KS Ravindra (Bobby) who made a decent directorial debut with Power has been given the responsibility to direct PawanKalyan and the regular shoot of the film started in October. Kalyan has taken special care on each and every aspect in the movie right from the script to the songs and the dialogues. After he has been impressed with the bound script, Pawan gave a nod for the shoot. With a lot of crowds in Hyderabad making it for the shoot and as it has been difficult to control them, Kalyan wanted the makers to shoot for the movie in Gujarat with not much pressure and problems. Pawan Kalyan shot for the first schedule of SardarGabbar Singh in Gujarat after which the complete cast and crew have participated in the shoot. Kajal Agarwal is playing the female lead in the movie and the second schedule is currently happening in Rajkot. Pawan has recently wrapped up his part for this schedule and he moved to Hyderabad. The other cast and crew will shoot for the film till this weekend with which the schedule will be wrapped up. The next schedule of SGS will start from the third week of December and will take place till Sankranthi next year. Kalyan will be seen as a cop in the movie and the basic plot has been inspired from Gabbar Singh. The characterization and the other characters will follow and Devi Sri Prasad is composing the music. Sharat Marar and Kalyan are producing SardarGabbar Singh on North Star Entertainments banner and PawanKalyan Creative Works banner. Eros International acquired the theatrical rights of the movie. SardarGabbarSingh will complete shoot by the end of February and the movie will hit the screens on April 8th all over the world. Stay tuned to TheReporterTimes for latest Pawan Kalyan news and updates.